LOCATION This attractive, three bedroom detached house is set within an enviable location, just over 0.5 miles distant from the town centre. The property also sits within close proximity of some of the area’s most popular schools, which includes Arunside, St Johns and St Marys Primary Schools, as well as Tanbridge House Secondary School. PROPERTY The front door opens into a bright Hall, which offers the ideal space to remove your shoes before entering the house. From here stairs lead to the First Floor and doors open to the Living Room, Kitchen Diner and WC. The double aspect Living Room is a fantastic space, measuring 16’11 x 12’5 and has a door spilling out to the 100ft Rear Garden. The Kitchen Diner, on the other side of the property is also double aspect, with fantastic views over both the front and rear gardens and has been recently replaced by the current owners, boasting wooden block work surfaces. 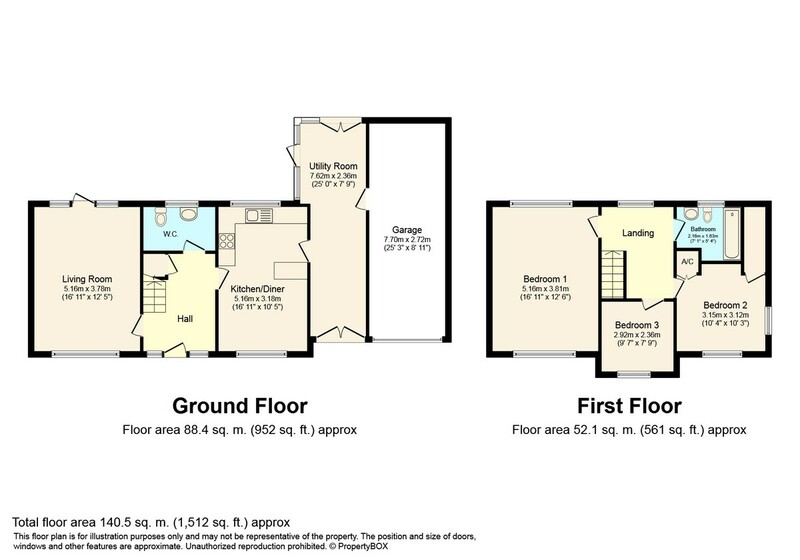 Completing the Ground Floor accommodation is the Utility Room, which has a maximum measurement of 25ft and connects the house to the garden and Garage. To the First Floor, you will find the Family Bathroom and three generous Bedrooms, with the largest two being fantastic double aspect, Double Bedrooms. Hengist Close is a small cul de sac of individual properties, and we believe that this house offers excellent potential (stpp) to extend. OUTSIDE This imposing family home is set back from the road with a walled front garden, mainly laid to lawn, but with attractive and well kept borders. Beside this is the driveway, which provides off street parking for two cars, and leads to the Garage which measures 25’3 x 8’11. This has an up and over door, and has a courtesy door opening into the Utility Room. The 100ft Rear Garden is a particular feature of this lovely property, boasting an expanse of lawn, perfect for the children to play or for a keen gardener to make the most of. Beside the lawn is a generous patio, perfect for barbecues in the summer months, that leads through to a ‘secret garden’ beyond the hedges, which houses a shed and green house.